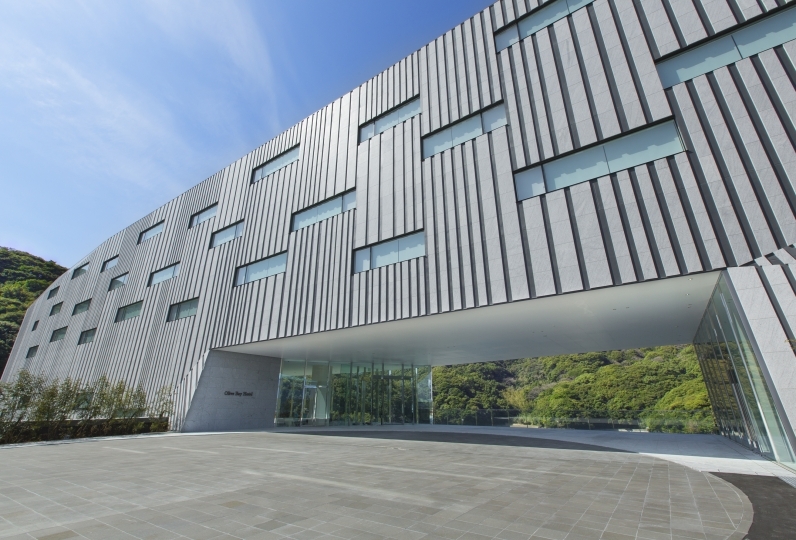 Among the beautiful natural beauty and the home of the famous Unzen Onsen sits the modern folk style inn Fukudaya. The modern folk style of the inn blends in harmoniously with the surrounding nature. Fukudaya's newest annex opened in February 2017. The new annex, Yama Terrace Bettei, comes with a wonderful terrace for guests to experience the gentle breeze and the fragrance of the mountains. Each of our 7 guest rooms comes with a different interior design but all come with a private outdoor bath that is drawn from the natural hot spring. With exposed beams the relaxing modern folk style of the guest rooms provides a luxurious and upscale atmosphere for your stay. There are many options for dining and tasting the flavors of the abundant Shimabara Peninsula. Start with the "Koichoru" nabe dish at the restaurant Nabe Danran, which has been in operation for 49 years. At Nabe Danran you can experience various nabe dishes prepared with carefully selected ingredients. At teppanyaki restaurant Sakurabashi, watch Nagasaki wagyu and seafood from Nagasaki's ocean being cooked in front of you. Enjoy the incredible food as it comes hot off of the teppan. The highlight of your trip might just be the time that you spend soaking in the hot spring bath as you gaze out at the surrounding natural beauty. The "yu no hana" (hot spring mineral deposits that resemble flowers) give the water a cloudy white color that looks stunning against the panoramic view from our outdoor bath "Kunpu no Yu". Let the sense of openness and the warmth heal you. After the bath enjoy a beer at our terrace cafe 'Ricky'. In the evening enjoy drinks at the bar with your friends and family while listening to nostalgic music that sets the mood. When you are here Unzen becomes your backyard. 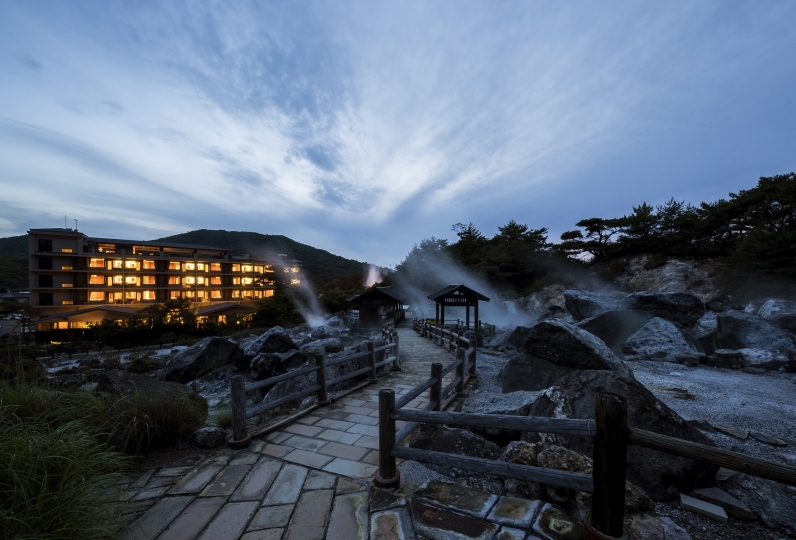 Let yourself be wrapped up in the haze from the hot spring and enjoy a truly amazing trip. The air conditioner of the bedroom was very noisy. We stayed for the first time using relaxation, but it was wonderful time. Thank you for having a photo of birthday when you make a reservation and celebrating with dessert. It was disappointing that I had a break during the maintenance, and when I chose to drink sake in my room, there was no one to know in detail. The rest was spent with great satisfaction. thank you for helping me. The table of the room did not enter the legs and it was hard to use. Whether you are digging or not, it seems that the atmosphere is good as well. The bathroom was an impression that the clothing room was narrow. Everything was delicious. We corresponded to the sudden birthday celebration, and at the time of checkout we got a picture and felt that the service was outstanding. I also wanted to ipi and wanted to introduce also to acquaintances. Unzen Onsen is known for its cloudy white color that comes from the "yu no hana" (hot spring mineral deposits that resemble flowers) and its distinct sulfuric fragrance, both of which give it its reputation as a "true" onsen. Many claim that the onsen provides healing benefits to those suffering from anxiety, muscle and joint pain, poor circulation, and fatigue. The onsen also provides beautifying benefits for your skin. Experience these benefits for yourself in our baths that are drawn directly from the spring. Bath use tax (¥150) is not included.